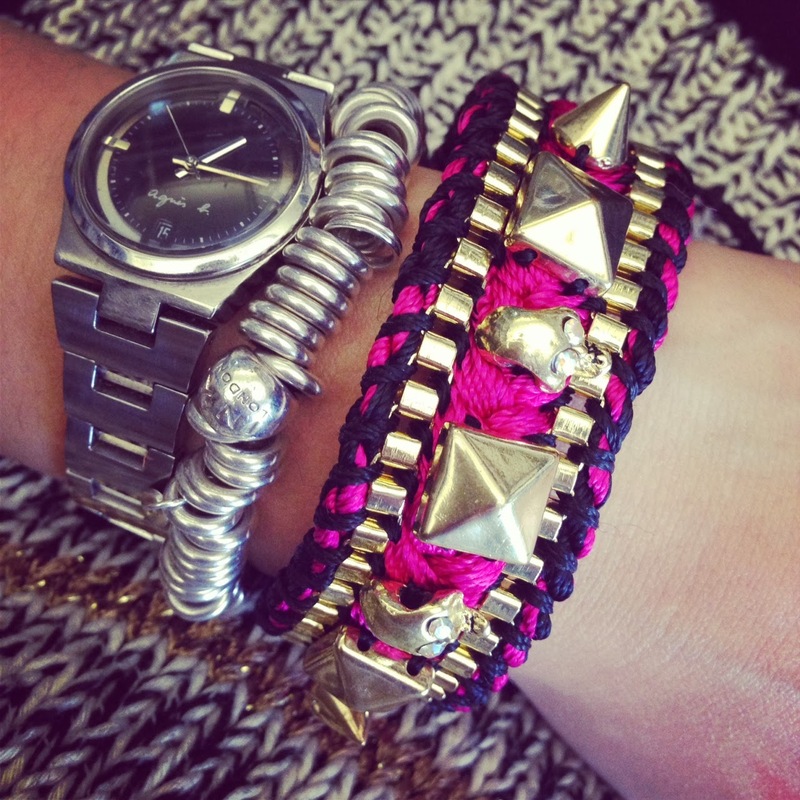 I was super excited to win this amazing piece of arm candy from Celliana, an online costume jewellery retailer specializing in all things punk, edgy, and bright - with lots of fluoro accents, metal details, and even the occasional skull or two (I know, so me, right?). Although I admired a few necklaces and rings from Celliana at the recent Stylist's Rail event at The Hoxton Hotel, I ultimately left empty-handed, so I'm feeling especially lucky to score this treat today. And okay, I know that my style is a little more Links of London than studs and spikes, but I have a feeling that this fun and gorgeous bracelet will be versatile enough to carry me through the next few seasons, since it'll work with dark knits in the winter and floaty dresses in the spring/summer.